Published February 9, 2019 at 2667 × 2000 in Parkville, Victoria – Australia ‘Melbourne Zoo Trip 6’ Photographed by Karen Robinson February 2019 Comments – Hubby and I decided to spend another day at the Zoo, this time concentrating on photographing Australian tropical and subtropical Butterflies in the Zoo’s magnificent tropical glasshouse. Parkville, Victoria – Australia ‘Melbourne Zoo Trip 6’ Photographed by Karen Robinson February 2019 Comments – Hubby and I decided to spend another day at the Zoo, this time concentrating on photographing Native Australian tropical and subtropical Butterflies in the Zoo’s magnificent tropical glasshouse. 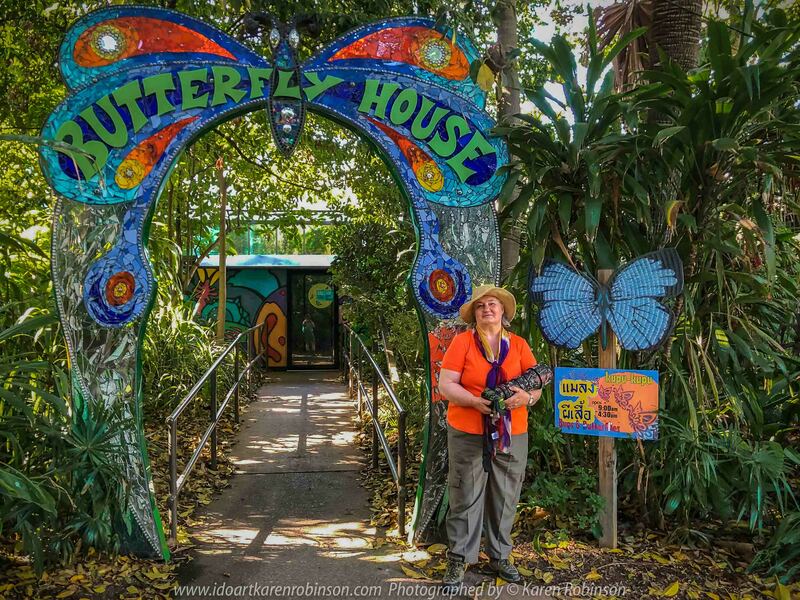 Photograph featuring Karen Robinson standing in front of the entrance to the Butterfly House.